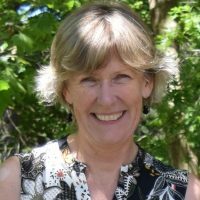 Jane Buxton is professor and practicum director of the Masters of Public Health program in the School of Population and Public Health and works half-time at the BC Centre for Disease Control (BCCDC). Jane chairs the Royal College of Physicians and Surgeons specialty committee for public health and preventive medicine which oversees residency training programs across Canada. Over the past 10 years, she has supervised over 100 students on placement at BCCDC and also supervises MSc and PhD students in SPPH. At BCCDC Jane is a physician epidemiologist and harm reduction lead. She co-chairs the BC Harm Reduction committee; in 2011 she developed the Drug Overdose and Alert Partnership; and in 2012 led the introduction of the BC take-home-naloxone program. She is engaged in quantitative, qualitative and participatory research with marginalized populations ensuring people who use drugs are involved in developing priorities for research, policy and harm reduction program evaluation.